1) Gather mulberries. This was the fun part. 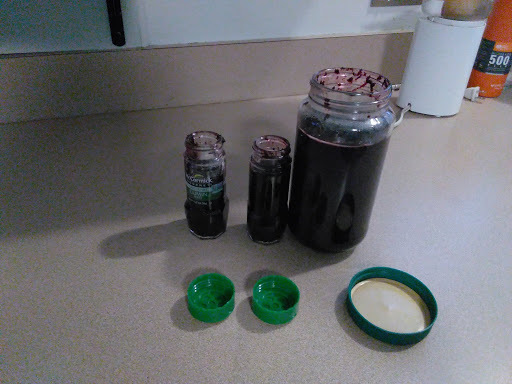 I picked about 2 cups of berries - I didn't want to make a lot of jam because we have 9 pints of strawberry jam that I canned this spring, and like I said, I would rather eat strawberries than mulberries. 2) Pick the little green stems off all the berries. Note - this step will make your hands purple. I don't know how important it is to get all the little stems off (probably not that important?) but I did it anyway. Because I'm a masochist. And because I didn't have that many berries. 3) Cook mulberries in pot, covered, with burner on med-low. I did this for about 15 minutes or so, until the berries began to cook down. 4) Mash berries (or use immersion blender, like I did) until the "jam" is jam-like. 5) Add some sugar. Mulberries are super sweet by themselves, so I only added about 1/3 cup in the whole batch. You do you. 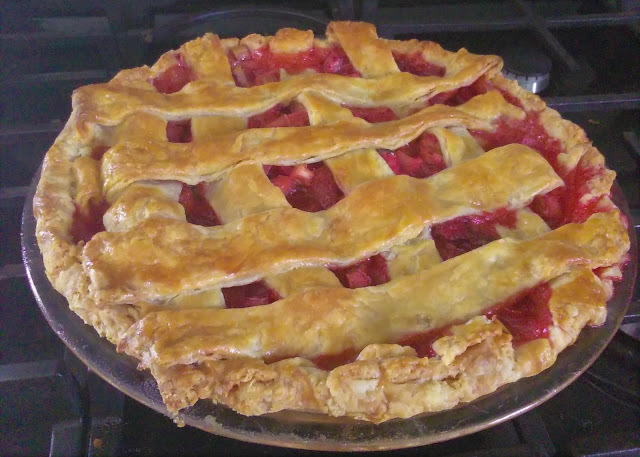 6a) Add pectin, if you want. Now, I don't have pectin. I don't care if my preserves jel, because I like to pour them on pancakes and cheesecake and bread. I'm weird. If you normally use pectin, use pectin. 6b) Realize that mulberries are really soupy and you may need more pectin. Or in my case, you may been some pectin. But I didn't feel like going to the store, so I decided to cut up a couple of apples into little chunks and add them to the jam, since apples are really high in pectin. 7) Wait another 15 minutes until the apples have cooked down, and blend again. Now the jam is the perfect consistency. If you add an appropriate amount of pectin and don't add apples, you can skip this step. 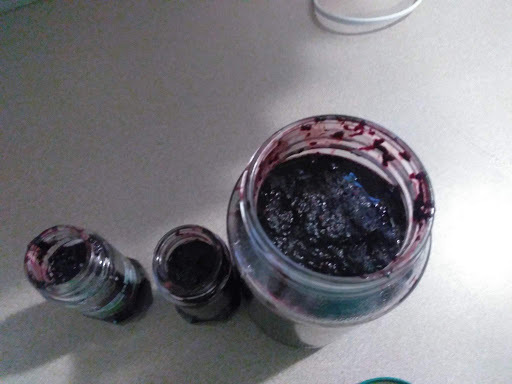 8) Package jam in jars. If you are canning, you would need to boil the jars, use proper canning lids and procedures, etc, etc. But I decided that since I was only making a little bit of jam, I'd just throw mine in the freezer. This way, I could repurpose an old mayo jar and two spice jars and not have to worry about safe canning procedures. 9) Give Boyfriend a taste of the jam. This will come as a surprise, since he has no idea what you've been doing in the kitchen. Put the rest in the freezer. I have to say, we opened one of the spice jars right away and it was delicious. The taste of the mulberries really came through and it was plenty sweet. It was also the perfect consistency - chunky with fruit, and easily poured over pancakes, but thick enough to put on toast. I will enjoy having this along with my strawberry jam this winter - and I'm sure boyfriend will enjoy it even more!